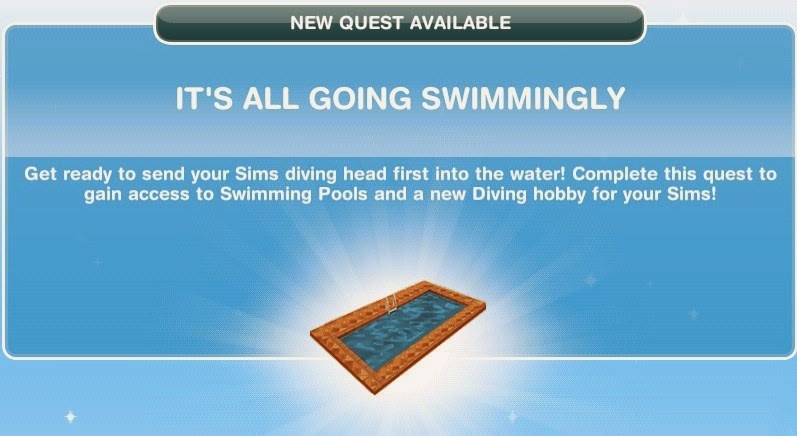 "The Sims Freeplay" quests and tips. Available for Android/Kindle and iOS (Apple) devices. This is a time-limited quest-line, you're given 2 days to unlock the ability to build Pools in your house lots. Reward: Volleyball Net for pools (Available in Online Store if you did not finish in time). This quest was last verified with the Glitz and Glam update (Sept. 2015). Please note that the times for certain objects may vary, they depend on the quality (star level). (Weeeeee! Your Sim just had a great idea. Splash a Sim! All you need is two Sims in the pool at the same time. (Ha! Now since both your Sims are still in the pool, get one of your Sims to lift the other one up and flip them over! Congratulations! 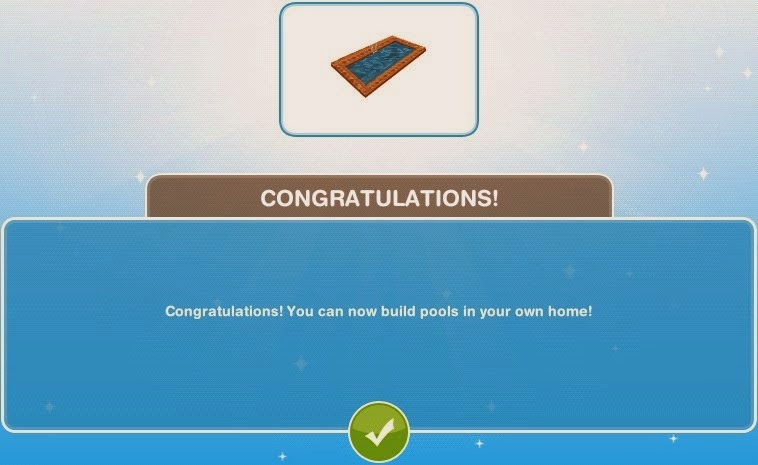 You can now build pools in your own home! 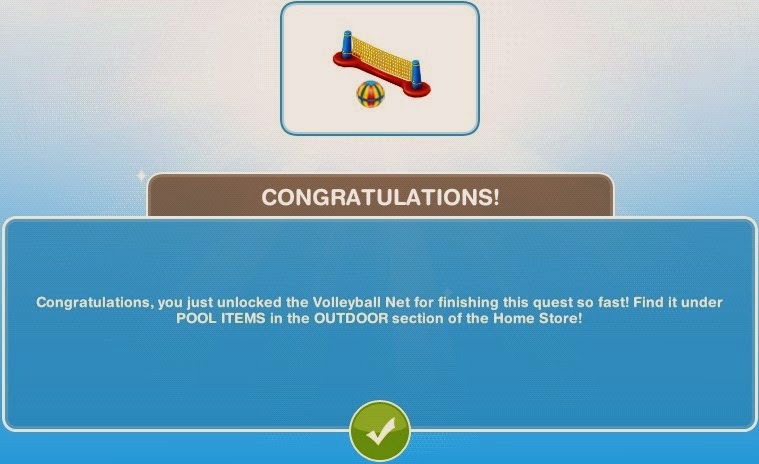 Congratulations, you just unlocked the Volleyball Net for finishing this quest so fast! Find it under POOL ITEMS in the OUTDOOR section of the Home Store! Based on a work at http://simfsfp.blogspot.com. Quest: Money Grows on Trees?